Litmos is a great tool for delivering learning to people. You can track the progress that users make - this becomes very important when there are critical mandatory trainings that you need the whole company to take, like for IT security or for GDPR. With Litmos it is easy to create learning plans for team members; I personally use learning plans for my team members' yearly goal setting and it works great. Easy learning curve. Captivate makes it easy for a new user to pick it up and understand where to begin. Adobe, in general, does this very well and Captivate is no exception. When you begin using Captivate, many of the tasks to create a video come naturally as things are laid out in a way that makes sense. 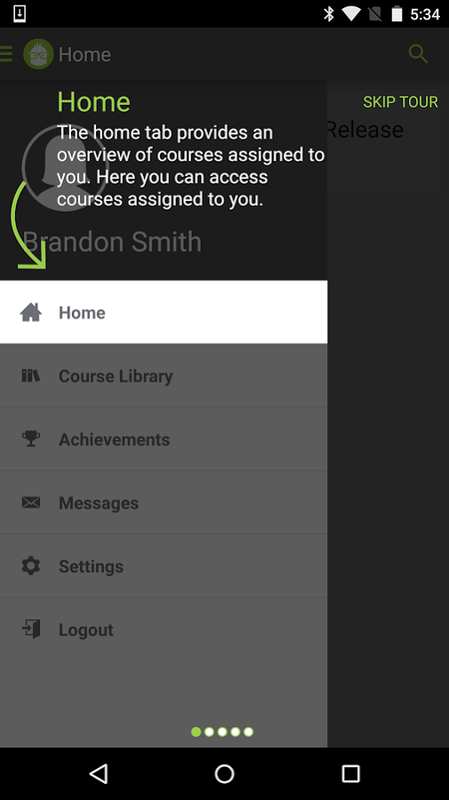 Embedding with LMS (Learning Management Systems). Adobe has made it very easy to deploy your produced video to any of the popular LMS's available. Captivate also gives you a very easy way of including a SCORM score for any quizzes that must be passed at the end of the video in order to proceed to the next video. Capturing Audio has never been easier. With Captivate you can easily add voice-over audio that you can record directly inside of Captivate, or import a pre-recorded audio clip. You can import sounds from other sources for effects in the video and Captivate already includes all of the commonly used sounds for mouse-clicks, error sounds, etc. Deliver online training to people in the organization - in a simple and user-friendly user interface that makes it easier for the user to learn. Tracking progress of the learning at the user level - managers can easily see if team members are on schedule with their learning plan. Progress tracking of the course itself - you can resume at any time where you left off last time. Adding a Synch option from employee payroll and benefits (ADP) to Litmos would be helpful. Currently you can import, but it doesn't help with individuals who leave the company. It would be helpful to add/remove from ADP. As I mentioned before, I've used Adobe Captivate for a long time. I've used other authoring tools, but always come back to Adobe Captivate to do my heavy lifting. Perhaps, I'm just more comfortable with Adobe Captivate and always am surprised at what I can do with it. Camtasia works well with my video, but Adobe Captivate can do it all. Litmos has many of the same extensive features that Cornerstone offers but in a much more user-friendly platform. I would choose Litmos over Cornerstone for certain. Mindflash is a simpler system with less features but offers a clean, easy to administer platform for smaller learning programs and organizations. To be frank, ROI is difficult to measure at this point in an academic institution, but I do find that in general, online students respond well to seeing and hearing an instructor's face and voice. This has probably helped improve student evaluations in my online classes, would be a metric that most higher ed instructors would be concerned with. I suppose a negative impact would be time investment. However this can be mitigated by re-using materials when appropriate. My use this quarter has involved editing pre-existing lectures. I've been able to shorted several lectures and I've been able to break up one lecture that was way too long into two smaller, more modular lectures. This has helped improve the class without forcing me to re-record the same lecture. Shortened the distance in onboarding new volunteers! HUGE!